Our Director of Finances Charlotte Romero. There are many important aspects of a company that often stay behind the scenes, one of those is the iTN Worldwide finance department. iTN has specialists dedicated to keeping each department on track for growth and success, but this responsibility is not all about crunching numbers. iTN’s manager of finance Charlotte Karpf-Romero is the COO’s right hand, but she’s also responsible for human resources and bridging management and the operations staff. She said even though her role comes with much responsibility the small tasks also matter. Like many people who work in logistics Romero said her path into logistics and subsequently to iTN was entirely by chance. Romero traces her career in finance back to high school. As a freshman, her mother enrolled her in the banking and finance magnet program. She recalls that while most students were taking physical education, she was taking accounting courses in 9th grade. 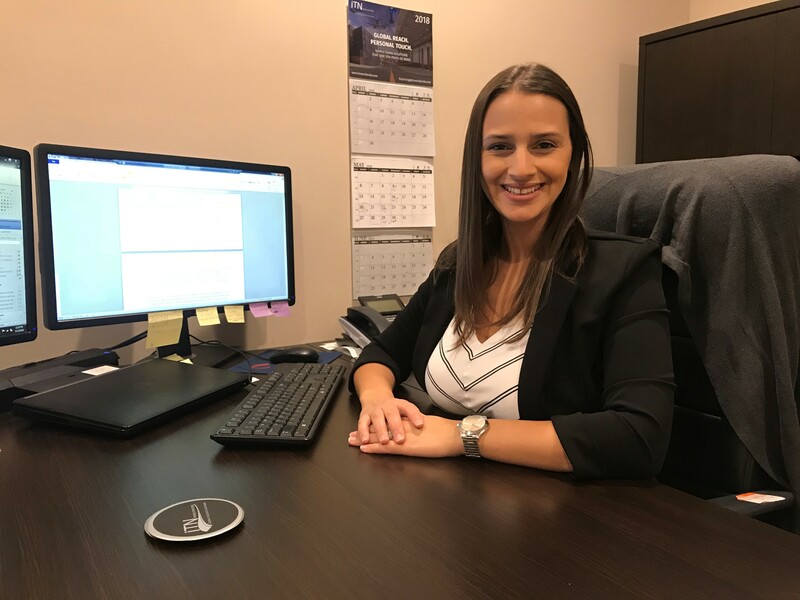 Her first job after high school was working bank reconciliations for a property management company that provided financial services for condominium associations. Eventually, she graduated with a Master’s in Accounting from Florida International University. After spending eight years at a management company, she was offered an opportunity at a logistics provider. Later a recruiter called her about an opening at iTN. Upon meeting company controller Todd Vitko and COO Daniel Grimes, she was sure that iTN was a fit and I never looked back. Naturally, iTN has evolved, and Romero has been able to witness the changes first hand. She said five years ago, iTN was a very different company. They’ve also invested in technology and programs like implementing Magaya and embarked on initiatives to design metrics reporting that they can incorporate and use in the decision-making process. Recently, they developed a dashboard that helps them understand their customers, trade lanes, and workflow for a swift process. When she’s not working Romero likes to spend time with her family and explore her city. She’s been calling Miami home since her second birthday. Born to Cuban parents and raised in Westchester, Romero loves Miami and said she’s happy to be planted in the Magic city and plans to continue building her family’s future here. To stay in touch with Charlotte, you can email her at cromero@itnworldwide.com or find out more about our Culture Follow @iTNWorldwide on Twitter, Facebook, LinkedIn, and YouTube.